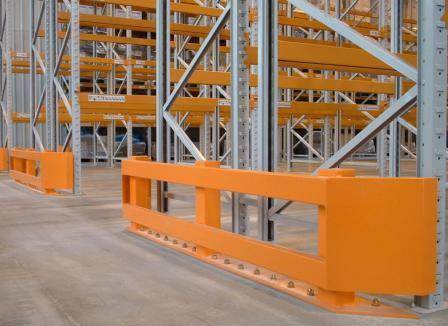 Apex Storage Limited is a name synonymous with pallet racking. At Apex Storage we pride ourselves on providing the right solution for each project. We believe in traditional values aiming for 100% customer satisfaction to develop and expand our customer base. The company is built on experience allowing customized solutions for both straightforward and complex projects. We provide numerous products for both industrial and office use, please feel to have a look around our web site or request a catalogue. 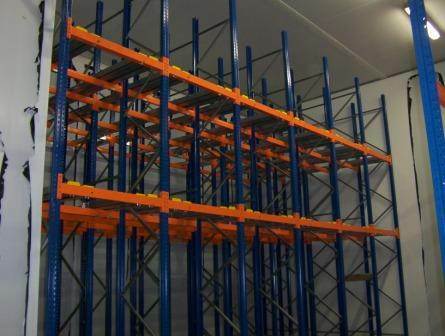 Apex Pallet Racking is a modular system designed to meet specific customer requirements. 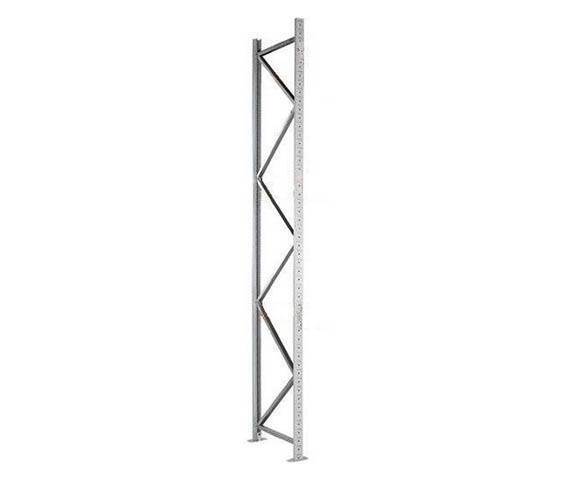 Frames are of a bolted construction and are available in four upright sections APEX UK 08, 12, 16 and 20; with the APEX UK 20 being the heaviest duty with a nominal 20,000kgs capacity. The frames are available in heights from 900mm up to 8,400mm in 75mm increments and most depths with; 450, 600, 750, 900, 1100, 1200 and 1350mm being the most common. The beams again come in a variety of sections and lengths to meet individual customer criteria. Beams are available in lengths of 75mm increment. 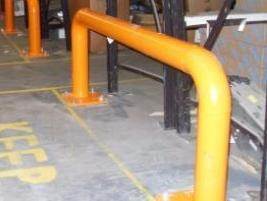 All uprights and beams benefit from an Epoxy Powder Coat finish in house colours, however, other colours are available at an extra cost. 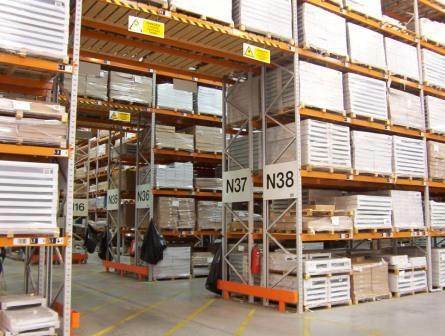 Like Apex Pallet Racking the Apex Long Span Shelving is a modular system designed to meet specific customer requirements. 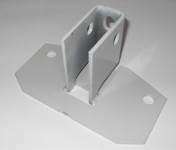 Frames are of a riveted or bolted construction APEX UK 06. The frames are available in heights from 750mm up to 8,400mm in 50mm increments and most depths with; 450, 600, 750, 900, 1000, 1100, 1200 and 1350mm being the most common. The beams again come in a variety of sections and lengths to meet individual customer criteria. 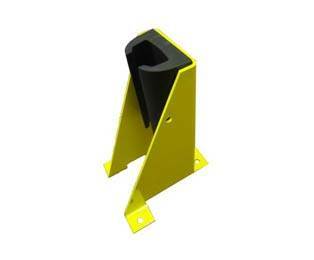 Beams are available in lengths of 50mm increment. All uprights and beams benefit from an Epoxy Powder Coat finish in house colours, however, other colours are available at an extra cost. 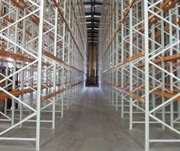 In addition to providing new systems Apex Storage Limited provide excellent Racking Inspections. Customers receive a detailed racking inspections report together with the inspections survey sheets clearly identifying rack damage and areas of concern. We also provide a repair service to compliment the racking inspections. 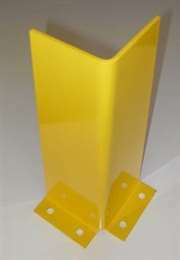 Apex Storage Limited provide a wide range of column guards. 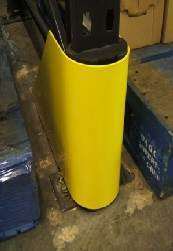 Column guards or rack protectors are commonly used to protect the pallet uprights which can be damaged by FLT's (fork lift trucks). 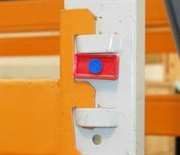 We can offer protection to standard rack uprights using a variety of different column guards and the innovative Rackdefender. Select from our 2 or 3 sided column guards standard to heavy duty options. 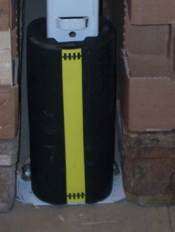 Using the column guard together with the Rackdefender (Combo) significantly reduced upright damage from incidental impact. 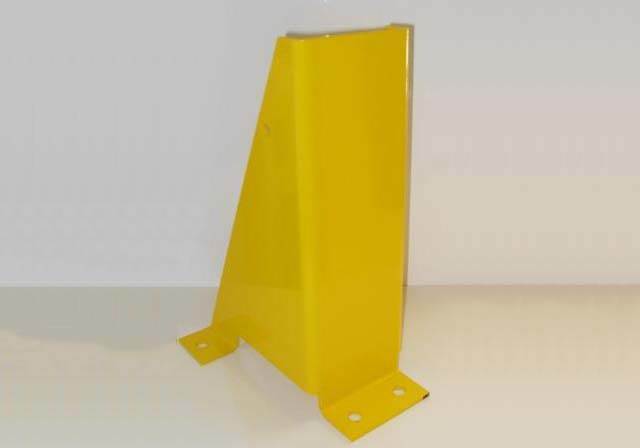 Finished in high visibility orange our column guards can be supplied complete with floor fixings in 2 weeks. 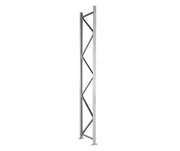 Impact damage to the rack upright can lead to critical component failure and at worst a rack collapse. Following Euro Packaging (UK) Ltd being awarded a GNFR consolidation contract for over 1000 SKU’s, Apex Storage Limited were contacted to submit proposals based on the current racking configuration. Following project meetings, and site visits to customers who had installed systems similar to those being proposed. 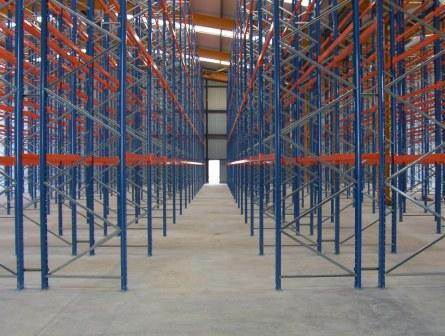 Apex understood our needs and timescales to; design, supply, deliver and install a four tier shelving system in to our existing pallet racking with the minimum amount of upheaval to the day to day operation of our business. Apex installed two staircase which fitted neatly into our existing back to back racks and three walkways in to the existing aisle. Up and over pallet gates at each end on all levels allowed for the safe movement of product. All of this was achieved on time and with minimum disruption to the business. I would have no reservation in recommending Apex Storage to my work colleagues and other businesses looking for experts to assist them with their requirements. We required some quite difficult and intricate alterations/additions to our ground floor picking locations in our warehouse. One of our main concerns was the possible disruption to our order picking whilst the work was carried out. 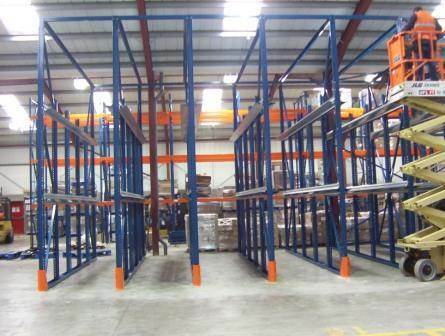 Apex Storage Limited came up with an innovative shelf design which enabled us to fit an extra shelf level in each bay. 252 bays of our existing system had to be altered and it was estimated this would take 3 to 4 weeks. Apex carried out the work overnight to prevent disruption to our business and the work was completed to our satisfaction.